Eat, dance, race, drink and spectate your way through 2016. New Zealand knows how to host a good get together. 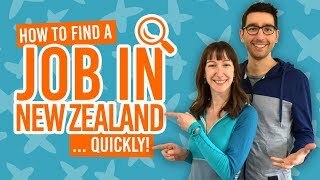 If you want to experience being in a Kiwi community, then heading to festival or a sports game is a great way to do it. Summer, winter, eating grasshoppers, New Zealanders will find any excuse to celebrate. Of course, there’s a variety of annual events worth taking part in, which we have listed month-by-month on our New Zealand calendar. But what are our top picks for 2016? 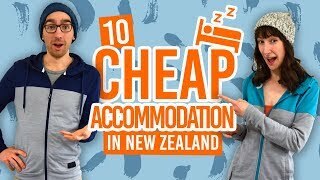 We know you can’t do all the events during your gap year in New Zealand, but here are a few to start with. Celebrate the cultures of the South Pacific and New Zealand with these cultural events, which, let’s be honest, mostly consists of amazing food. But we are not complaining. Jim Beam Homegrown (April 2) is New Zealand’s biggest party celebrating local music with around 45 Kiwi acts. Wellington waterfront will turn into multiple stages of electronic, dub, rock and urban. Rhythm and Vines (29-31 December, Gisborne) and Rhythm and Alps (30-31 December, Wanaka) are the biggest New Year’s celebrations in the country. The sister festivals have amazing settings, either in the first city in the world to see the new year or in the mountainous Cardrona valley, and amazing local and international artists. On The Lawn (January 31) is how a Kiwi summer should be: good food, good beer, good wine and music. All this is encapsulated in this Mt Maunganui festival. Or, if electronic and dub music is more your thing, try the Bay Dreams music festival which is new to Mt Maunganui this year. Splore (February 19-21) is a beach music festival in the beautiful location of Tapapakanga Park, Auckland. Enjoy an extensive line-up of musical acts, cultural performers and be the true backpacker you are by attending the fancy dress traveller’s ball. New Zealand’s cities have a lot of parks, which obviously need filling with events and “happening” things. Auckland’s Music in Parks and Movies in Parks brings a bunch of free gigs and cinemas across the region’s parks. Check out events like Rock in the Park (February 13, Grey Lynn Park). There’s also George in the Park, for electric, dub and pop acts (March 5, Western Park, Ponsonby), as well as 24 other gigs to choose from throughout January to March. Then wind down with 24 movies playing across Auckland’s parks showing blockbusters from 2015 releases to timeless classics. Don’t forget, Silo Cinema also takes place in Silo Park every Friday during summer. Wellington’s Meridian Gardens Magic (January 5-24) is always a crowd-pleaser. Just grab a rug and a group of mates, head to the Botanic Gardens and enjoy some gigs in the garden. What’s more, they take place every night except Mondays. New Zealand’s public holidays often come with free events that really showcase the New Zealand culture. Waitangi Day (February 6) celebrations can be seen in Wellington, Waitangi Treaty Grounds (Paihia), Queenstown, and more. There’s not a year that goes by where we cannot mention the Wildfoods Festival in Hokitika (March 12). Try some truly wacky foods like huhu grubs, chicken feet and bats. There’s also fancy dress competitions and cooking demonstrations to go with your colostrum cheesecake. Balloons Over Waikato is an acclaimed annual event here in New Zealand. Head to Hamilton between March 16 and 20 to see a sky full of hot air balloons, from traditional to the weird and wonderful. Celebrate the start of winter with the Queenstown Winter Festival (June 25 – July 3). Suitcase sledge races, dog derbies, music, food and fireworks, this festival has something new to offer every year but provides a week of fun before you hit the mountains for skiing. The steampunk town of Oamaru unsurprisingly hosts the Steampunk Festival (June 2-6) with music, tea duelling, magic carpet racing, workshops, fancy dress and a steampunk ball. Wellington Sevens (January 30-31) has been the biggest sports party event for quite a few years now here in New Zealand. What makes 2016 special is its the build up to rugby seven’s debut in the 2016 Rio Olympics. 16 of the world’s greatest sevens rugby teams come together for some fierce rugby. But that’s not all the entertainment. Crowds will be treated to live performances and get involved themselves with fancy dress, dancing and a chance to win prizes. There’s a variety of tickets to choose from so you can be there for the whole thing or just turn up fashionably late. If travelling all the way to New Zealand on a gap year wasn’t challenging enough, try doing a marathon or half-marathon in one of the most stunning countries in the world. It seems that every town or city in New Zealand likes a good excuse for a running event, but here are just a few: Queenstown Marathon, Cadbury Marathon (Dunedin), Wellington Marathon, Christchurch Marathon, Hawke’s Bay Marathon and Mountain to Surf (New Plymouth). Finished with festivals and overeating? 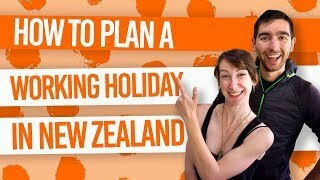 If you dig dates and timeframes for planning your New Zealand trip, then how about these New Zealand locations to visit during spring, summer, autumn and winter?